Continuing where we left off yesterday, let’s take a look at two more players who fell off the insane heights of stardom at a much faster pace than they got there with. Playing for the Phoenix Suns with Hall of Fame point guard Steve Nash, Stoudemeire quickly established himself as one of the most dominant big men in the NBA. The fast paced ‘7 seconds or less’ offence of head coach Mike D’Antoni really helped Stoudemeire blossom into a bonafide superstar. In just his 3rd season at a bright young age of 22, Stoudemeire was already a member of the All NBA Second Team while averaging 26 points and 9 rebounds per game. He remained a staple for the revolutionary Phoenix Suns offence and reached the Western Conference Finals three times, while making five All Star teams at an individual level. During his prime, there were games that Stoudemeire was completely unstoppable as he happened to be one of the most athletically gifted big men in the league who also had a very soft touch around the basket. On top of that, he also had an extremely reliable mid range game. In the summer of 2010, Stoudemeire decided to leave Phoenix and sign a $100 million plus contract with the New York Knicks. He was immediately hailed as a saviour for the ailing franchise and he was supposed to lead the Knicks back to the promise land. In his first season playing under the bright lights of the Madison Square Garden, Stoudemeire did not disappoint and averaged an amazing 25 points per game and dragged the Knicks to the playoffs for the first time in seven years. He was immediately seen as a folk hero for the city of New York. However, everything started going downhill from there. Because of his persistent knee injuries during his time with the Suns, insurance companies were not ready to insure the gigantic contract that the Knicks gave to Stoudemeire. As with almost everything associated with the franchise, this risky move backfired and did not pay off at all. Next season, Stoudemeire only played in 47 games for the Knicks and his average dropped from 25 to 17.5 points per game. The year after that, he only played 29 games for the team and only averaged about 14 points per game. From that point of time, his injuries mounted significantly and his on-court contributions became even more indignificant. His extremely expensive contract was also labelled one of the worst contracts in the league. 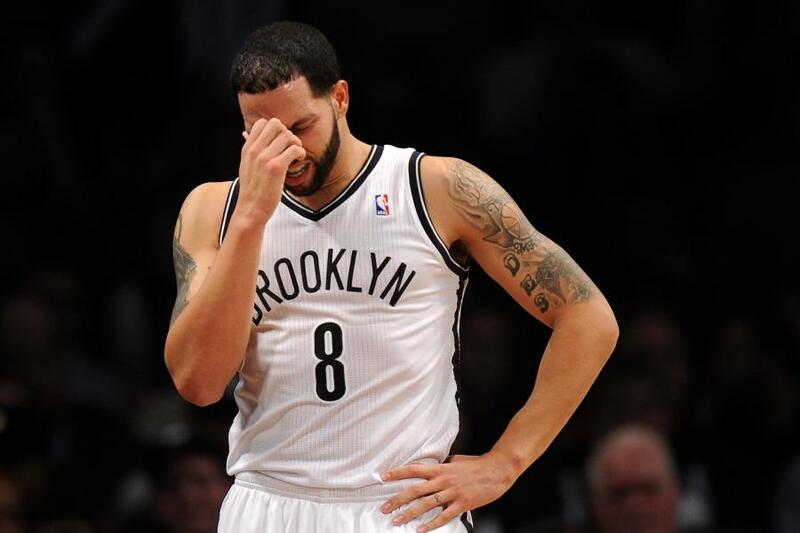 In the 2017 NBA Finals, Deron Williams put up one of the worst performances in the history of the sport and proved that he did not belong in the NBA Finals at all. Averaging 12 minutes per game, Williams put up 1 point and 1 assist per night while shooting an unbelievably terrible 13 percent from the field. As a consequence of that, Williams didn’t play in the NBA again. Sadly, his career is also one of the most sensational cases of immense decay in a player’s abilities. Afterall, there was a time in the NBA when Deron Williams was in conversation for being the best point guard in the NBA alongwith Chris Paul. In his time with the Utah Jazz, Williams was a lethal threat from everywhere on the court and seemed like a complete franchise player. Given their relatively similar age and the fact that they played in the same conference, CP3 vs D-Will was supposed to be a rivalry for years to come. However, things didn’t turn out even remotely close to that. The 27 year old, 3 time All Star completely fell off the map of the NBA by the time he turned 29. The once 20 and 10 guy had fallen to averaging just 14.3 points and 6 assists per game. Williams’ Brooklyn Nets teammate Paul Pierce partially explained the reason behind that in an interview. He said that he didn’t enjoy his time in Brooklyn at all and it was mainly because of Williams’ attitude. According to Pierce, Williams didnt really show any desire to work hard towards his game and become an improved version of himself. Williams didn’t really love basketball in the same way Kobe Bryant or Chris Paul did and his game fell off a cliff as a result of that. NBA Free Agency Update : Is a Kawhi Trade Imminent?